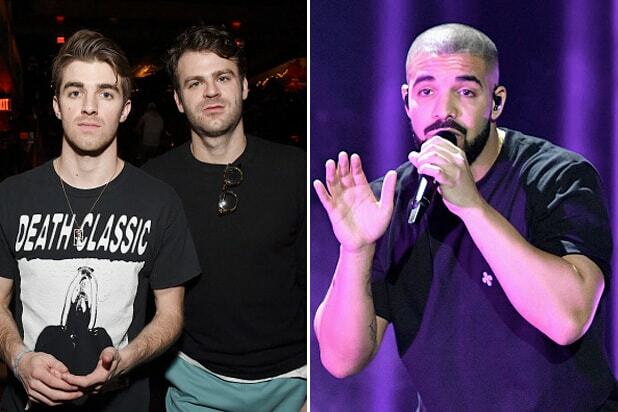 The Chainsmokers and Drake dominated the nominations for the 2017 Billboard Music Awards with 22 nods each, including Top Artist. Twenty One Pilots earned 17 nominations when the announcement came on Monday, followed by Rihanna with 14, The Weeknd with 13 and Beyonce with 8. The show will be broadcast on ABC on May 21. The nominees are based on album and digital songs sales, streaming, radio airplay, touring and social engagement. These measurements are tracked year-round by Billboard and its data partners, including Nielsen Music and Next Big Sound.